Wifi on the go has a nice ring to it doesn’t it? 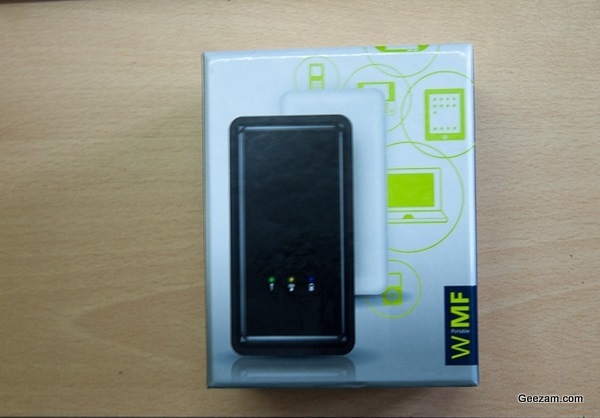 MiFi the most recent addition to our Telecommunications/ISP companies list of consumer gadgets, is a portable router unit more popular known as MiFi (My Wi-fi). With the increase in popularity of devices like Tablets and Smartphones the ability to have access to ones personal WiFi at any point in time is very attractive of course this is also applicable to Laptops, Netbooks, PSPs etc…. but at this point in time in regards to portability and popularity Tablets and Smartphones seem to be dominant. Of course one could just get a Data Plan for their Smartphone but unless you own an iPhone or a Blackberry (BB) which would be able to provide internet to their sister devices the iPad and or Playbook respectively then only one device would be able to benefit from that type of data plan and any other Tablet than the iPad or Playbook would not benefit. The concept of a portable WiFi may look good on paper but execution is always another matter all together so I was relieved when I saw how small and experienced how light weight the MiFi unit was, it is somewhat like a small cellphone easy to travel with something that one could just slip into their pocket if they chose to do so, it is not that much larger than the portable modem dongle that Digicel utilizes for their 4G internet service, the device is shipped along with a micro USB cable for charging and wired connectivity (connecting to the Mifi from a computer via the USB). The basic plug and play set up of the device is relatively simple especially on Windows 7 as most may know due to the vast driver database usually has little to no issue installing any USB device. After the drivers are installed your default browser pops up and takes you through the process of registering the device, which is also straight forward process. Unfortunately I came across several short comings in regards to the device firstly the secondary configuration process, I would have expected a device like this to be more user friendly but even as someone with a good amount of computer knowledge I had to tinker with it a bit to get it up and running. For one the information that was shipped with the device was not accurate, information such as the IP address to access the user interface, the username and password to log on to the user interface to achieve such things as changing the password or the SSID (the name which devices identify the wireless as) and even the WEP (wireless security password) printed at the back of the device for access to the device after a wireless connection has been established was also apparently incorrect, it would allow you to connect but would not transmit properly if any at all. 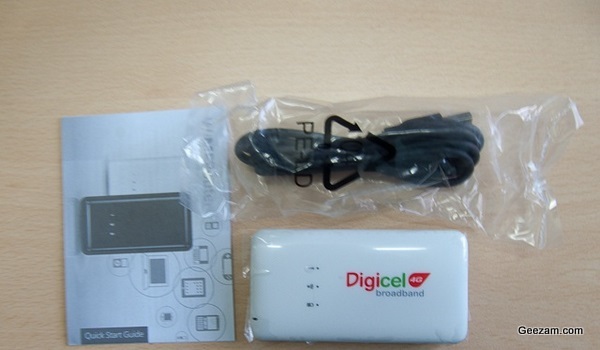 All the information I mentioned above I had either had to contact Digicel to acquire or utilize knowledge of detecting devices connected to my computer (lengths that I don’t think that the average consumer should have to take to get their product to work). After one gets past all that rigmarole the device its pretty straight forward. 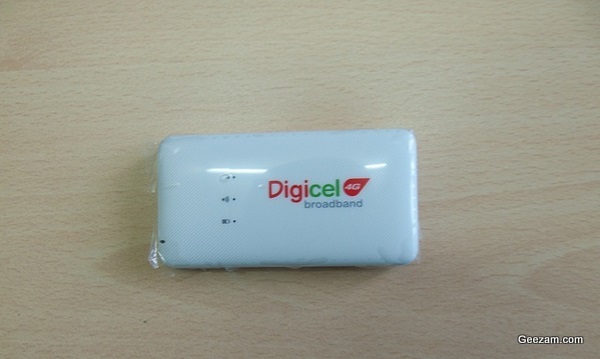 Turn on the device wait for it to pick up a signal from Digicel and start to broadcast its own wireless signal (all these which are indicated by lights on the device) then connect to it type in the WEP and you are good to go. The range on it is pretty good I left the unit at one end of the office and was able to pick up a decent strength signal from practically the other end which is about 20 odd feet apart, as advertised it allows up to 5 devices to connect to it I have successfully connected up to three devices to it a Laptop, iPad and a Smartphone with no issues. What I was not impressed with was its battery life strangely enough one cannot know when it is fully charged it has a dedicated battery led that blinks when its below 25% charge, stays steady when its above 25% but unlike the other leds that change color depending on its status there seems to be no way to know when the battery is fully charged all one can really know is when its above 25% charge which I found a bit foolish. It does try to remedy this issue with a some what intelligent senor system, when it does not detecting any information being sent or received via the device it goes into a sleep mode to conserve battery strength. Otherwise from that I found the signal strength from the ISP to be less than impressive not to be confused with the signal from the device itself that as I stated is pretty good. Even though one is able to do regular browsing to the usual sites Hotmail, Google, Facebook and it even loads youtube videos at an acceptable rate slightly slower than the WiFi in the office but anything which is even slightly demanding will not work e.g. 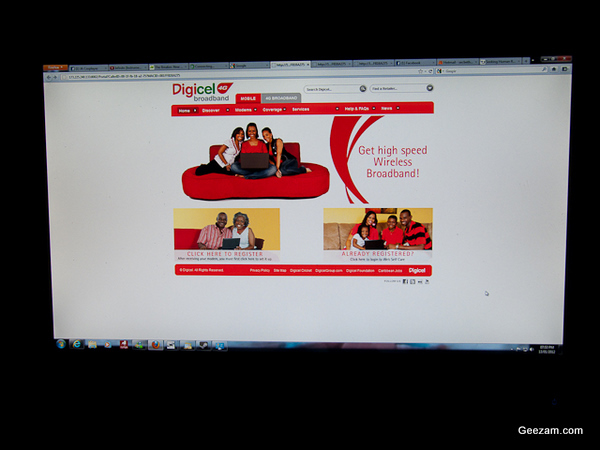 light messengers like Xfire and Google Talk will load but more robust messengers like MSN Messenger will not. We purchased these for use with some iPad 2 so overall it does what we purchased them for but for overall performance I was not impressed with the weak internet signal and poor battery life I expected much more from this device. Ramano is a fan of the Far East and so tends to bask in such things as anime, manga and rpgs as a source of entertainment. Like many other indivudials of this generation he is also very interested in technology.